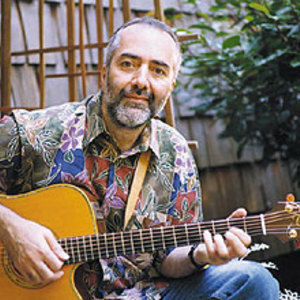 1) Raffi Cavoukian, CM, OBC (born July 8, 1948), usually known simply as Raffi, is a popular children's entertainer in Canada, the United States, and the English speaking Western world at large. Some of his best known songs are "Bananaphone," "Baby Beluga," "Down by the Bay," "Shake My Sillies Out," and "All I Really Need." Born in Cairo of Armenian parents, he spent his early years in Egypt before emigrating with his family to Toronto in 1958. Born in Cairo of Armenian parents, he spent his early years in Egypt before emigrating with his family to Toronto in 1958. Today, Raffi resides on Mayne Island near Victoria, British Columbia. In recent years he has devoted himself to Child Honouring, which seeks to create a humane and sustainable world by addressing the universal needs of the very young. He founded the Troubadour Foundation to support this cause, and is working on a book, "Turn This World Around," which argues that Child Honouring can be a potent remedy for the world's most pressing issues. In 1983, he was made a Member of the Order of Canada. He was awarded the Order of British Columbia in 2001. His sister is Dr. Ann Cavoukian, Ontario's Information and Privacy Commissioner. 2) Raffi Boghossian was the first winner of X Factor Bulgaria.